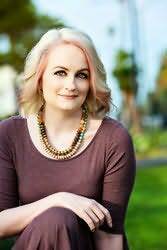 Mishell Baker is a 2009 graduate of the Clarion Science Fiction and Fantasy Writers Workshop, and her short stories have appeared in Daily Science Fiction, Beneath Ceaseless Skies, Redstone Science Fiction, and Electric Velocipede. She has a website at MishellBaker.com and frequently Tweets about writing, parenthood, mental health, and assorted geekery at @MishellBaker. When she's not attending conventions or going on wild research adventures, she lives in Los Angeles with her husband and children.